Over 700,000 tons of industrial waste, including metal, oil and shredded construction material were illegally dumped on this tiny island. ShozoAki, a young resident, led a grassroots campaign after 1990 against the industrial waste disposal business. The worst case of illegal dumping of industrial waste in Japan occurred on Teshima Island in Kagawa prefecture. The heavily laden ships came wending their way past the islands that fill this Inland Sea, to dump their cargoes of shredded automobiles and other toxic waste on this island. That it was part of a national park did nothing to obstruct the illegal traffic. After the year 2000, an impermeable wall was to be constructed on the north coast of the disposal area to prevent polluted water from flowing out to sea. A total of 600 000 tons of industrial waste was estimated to be sent to Naoshima Island. This material would be melted down and transformed into slag at a new melting furnace in Naoshima, with a capacity of 200 tons per day. The slag would be reused as aggregate in concrete. This was the plan for solving the 25-year-old dispute over industrial waste dumped ilegally on Teshima Island after a court ruled in favour of the islanders in 1996. The Environmental Disputes Coordination Commission suggested that industrial waste be transferred to nearby Naoshima Island. The plan also stipulated that the governor of Kagawa apologize to islanders for allowing the illegal waste to be dumped. The commission handed over its plan to the two parties at a meeting at the Prime Minister’s Office in Tokyo in May 2000. In 1975, a local tourism development company had submitted a request to the prefectural government to start an industrial-waste disposal business on the island. Islanders, however, later filed a lawsuit seeking an injunction against the construction of a waste-disposal facility. 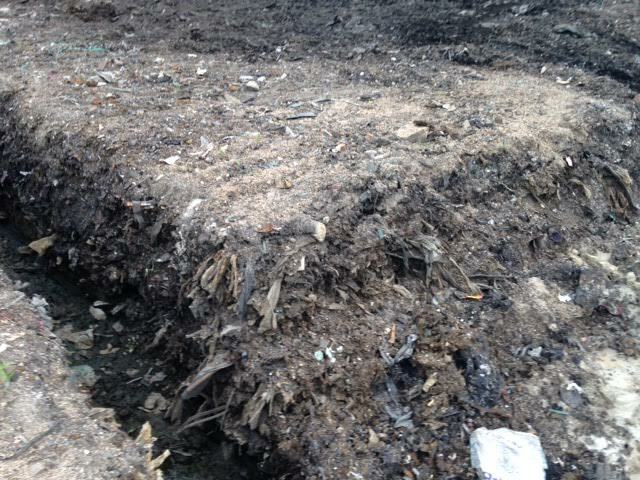 The islanders and the company reached a compromise in 1978 allowing the company to dispose of wood shavings and sludge produced in paper production. But large amounts of industrial waste began to be dumped illegally on the island around 1983, evoking complaints from local residents. In 1993, residents sought government arbitration on the issue, and in 1995 a survey by the commission found toxic substances, including dioxins, on the island. Residents subsequently filed a damages suit against the company, seeking compensation and the removal of the industrial waste. The Takamatsu District Court ruled in their favor in late 1996. Project Details According to Tsukasa Kamata, Japan Times, Jun 7, 2007, the accumulation of industrial waste, including metal, oil and shredded construction material illegally dumped still occupied in 2007 nearly 80,000 sq. meters of the 15-sq.-km island of Teshima in the scenic Seto Inland Sea. Even so, cuttlefish, sea cactus, grass wrack, crabs and other tiny organisms had recently begun to reappear on the once foul-smelling black sludge mud next to the beach. Teshima was the site of one of Japan’s worst cases of illegal dumping of industrial waste. Activist Shozo Aki had started a young yellowtail project in 1975 when he had returned to the island after graduating from a university. But he was forced to close down the fish farm when a huge amount of filthy water laced with deadly dioxin leeched from the beach into the sea in 1990. 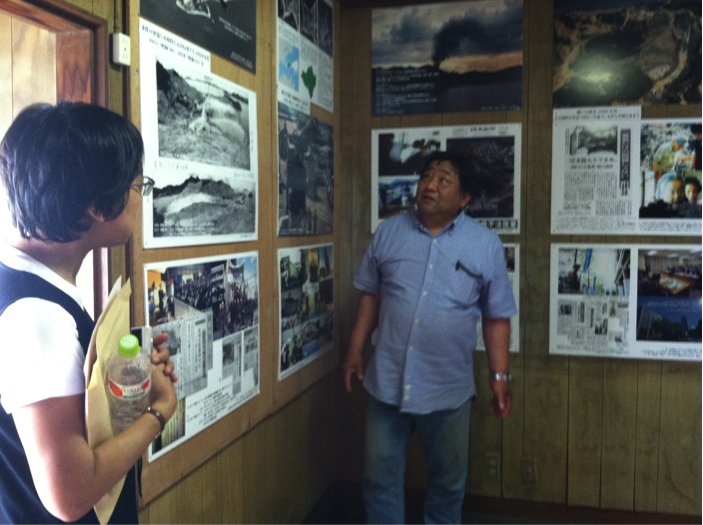 Aki, at the time one of the younger residents of the island, went on to lead a grassroots campaign against the industrial waste disposal business, later becoming a board member of the Teshima residents’ council on industrial waste. In June 2000, the residents agreed with the Kagawa Prefectural Government on a plan to remove all the waste from the islet and render it harmless on the neighboring island of Naoshima. By 2007 one-third of the waste has been removed since April 2003. The cost for the removal and recycling work on Teshima and Naoshima is estimated at roughly 50 billion yen. About 60 percent will be covered by funds from the central government. “It took four years to remove one-third,” said Shigeharu Nakaji, 50, director of the Environmental Monitoring Laboratory in Osaka. “This shows it will take at least eight years to dispose of the remaining two-thirds. It is not clear whether the disposal program will be completed in a decade as claimed by Kagawa Prefecture.” Nakaji is part of a group of people, including lawyers, environmentalists and academic researchers, who have supported Teshima’s fight against the illegal dumping. In 2015 it was reported that over 700,000 tons of wastes have been treated so far, but there is a remainder has to be treated within 2 years. Kenji Goto, General Manager at Kagawa Naoshima JA office and Teshima KS office of Kubota Environmental Service Co., Ltd. to which Kagawa Prefecture has consigned the waste disposal business, said that the project costs increased to JPY 79 billion from the originally estimated JPY 49 billion, which are borne by the Japanese government and Kagawa Prefecture on halves. It takes 40 minutes to reach Naoshima Island by the special ship, which makes a round trip twice a day accommodating 18 trucks which can carry a load of 9.5t., that is, the total load will be 350t a day. The ship operates 220 days a year, so it means to carry 77,000t a year. (Source: Miru News and Report, 12/6/2015). In the meantime, Teshima has now an Art Museum for visitors. The nationwide problem of illegal dumping of industrial waste remains unabated even after Teshima and other high-profile cases prompted the government to tighten penalties against offenders. In 2005, Japan had 15.67 million tons of illegally dumped waste lying on its soil — roughly 30 times the amount dumped on Teshima, according to the Environment Ministry. Other Threat of dioxin, PCB, heavy metals. Development of Alternatives The Setouchi Olive Foundation was launched in 2000 by Tadao Ando and Kohei Nakabo to restore the natural coastal environment of Japan's Inland Sea. In particular, this initiative has focused on the island of Teshima, Kagawa prefecture, which was damaged by the illegal dumping of industrial waste. The Setouchi Olive Foundation has set up a website, "The Teshima Island School," to explain the historical significance of the Teshima waste-dumping scandal. Why? Explain briefly. After 25 years of illegal waste dumping, a plan was worked out to shift the industrial waste dumped in the Teshima island to a neighbouring island where it is treated. Prof. Fumikazu Yoshida (Hokkaido Univ.) (on the issue of accountability and liability). The Economics of Waste and Pollution Management in Japan, chapter 3.